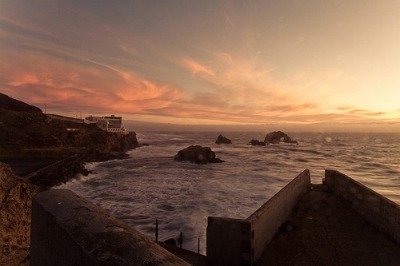 Sutro Baths in San Francisco is an often overlooked attraction that occupies a gorgeous corner of the city. It's a great place to visit if you want to get away from the excitement of downtown, and in fact, it's quite easy to forget that you are even in a city when you are here. Plus, there are other great attractions nearby that are also worth exploring, such as Sutro Park (read more below), Lands End, Ocean Beach, Golden Gate Park, the Cliff House and the Beach Chalet. For me, this is one of the most appealing attractions in San Francisco. It has such a romantic history to it. Knowing that this used to be the sight where literally thousands of San Franciscans would come to entertain themselves, makes me feel nostalgic for a time when I wasn't even here! 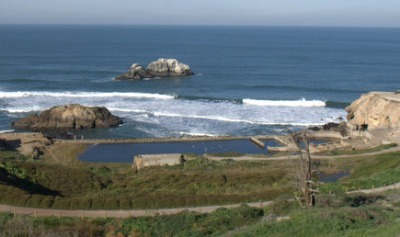 When you look out at the Sutro Baths ruins today, you are seeing the little that is left behind of what was once the largest, and probably most magnificent, bathhouse in the world - at least for its time. Opened in 1896, Sutro's Baths was built by a man named Adolph Sutro, a millionaire who owned 1/12 of San Francisco at the time, and had also served as mayor for a term. The bathhouse had 517 dressing rooms, 7 pools (1 freshwater pool and 6 saltwater swimming pools - all of which were at varying temperatures), plus slides, swinging rings, trapeze swings, spring boards and diving platforms! In addition to the pools - there were two restaurants, an area to hold concerts, a museum that displayed his personal collection of art which he had gathered during his various travels around the world, and regular competitions, contests and performances as entertainment to inspire people to keep coming back. Sounds like fun, right? Wouldn't you have wanted to go there? 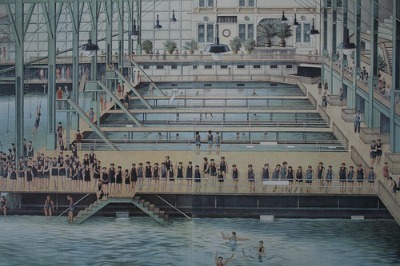 The walls and ceiling were made of glorious, glass-window paneling to allow for maximum natural light, and during high tide, water from the powerful ocean waves would flow directly into the pools, and could recycle the bath's water supply (nearly 2 million gallons worth) within an hour's time! People of any gender, age, and wealth were encouraged to visit, and when the local railroad company raised the price for the round-trip out to the west side of the city from 5 cents to 10 cents, it infuriated Adolph Sutro so much that he decided to build his own railway! 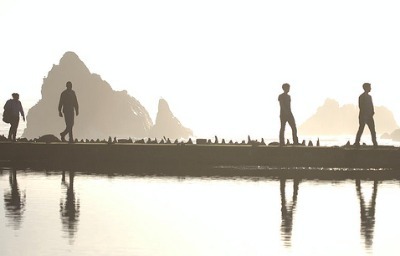 Here is a great documentary about Sutro Baths made by Juli Lopez, who was a student at the Academy of Art here in San Francisco. There is some great black and white footage from inside the baths! 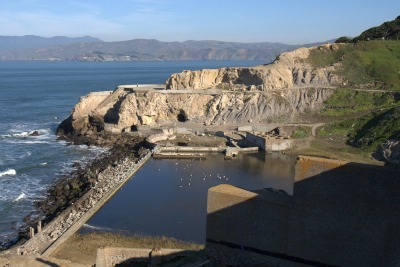 If you watched the documentary, you know that the tragedy of Sutro Baths is that it burned down in 1966. What wasn't mentioned in the video is that for several years before, the revenue it brought in wasn't enough to cover its operating and maintenance costs, and it had to close. The suspicious fire occurred just shortly after they had begun demolishing the bathhouse. Both of those events, the closure of such a beautiful attraction, and the fire that truly finalized it's end, represent a great loss from San Francisco's past. Today the area belongs to the Golden Gate National Recreation Area. It's a beautiful place to watch the sunset or to just come and reflect, and it's enormously popular for taking photographs. Depending on the weather, it can feel rugged and powerful, or peaceful and haunting. 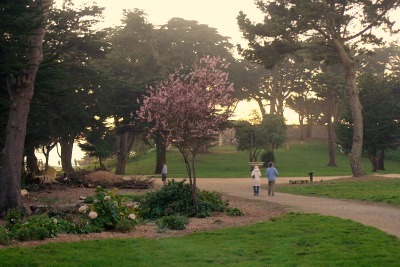 On sunny days I think it's one of the prettiest places to visit in San Francisco, but even when it's foggy it has a mysterious, romantic appeal. Here are a couple more images near the baths that were taken during sunset. It's important to be cautious as you explore the ruins area. The fact that it's so open to the elements, and left in its naturally jagged state is definitely part of its appeal, but it can be dangerous if you are too close to the surf, or in areas that are closed and marked as unsafe. The bath ruins are located at the northwest corner of San Francisco, close to the Cliff House, just off of Point Lobos Avenue. If you are driving from downtown, the easiest way to get here is to just head west on Geary Boulevard. There is a parking lot, as well as a good amount of street parking nearby. If you are coming from downtown, muni bus line 38 will drop you off very close to the park. If you are coming from other areas of the city and don't mind a little bit of a walk, bus lines 5, 18, and 31 also service the area. Here is a link to the muni route map. 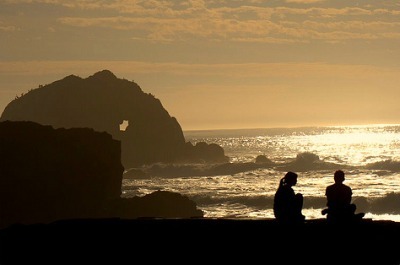 Sutro Park is a sweet little neighborhood gem that people often miss, even when they come to visit Sutro Baths. 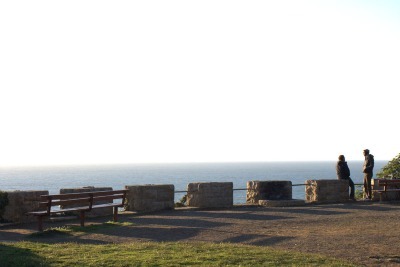 It's located just above the Cliff House, and you can access it from either Point Lobos or 48th Avenue. 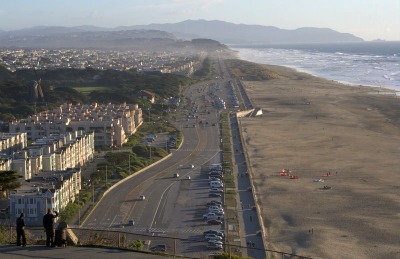 It's a great place to watch the surfers at Ocean Beach, and you can also see Seal Rock and the Cliff House from there, as well as extensive views of the outer Sunset and Richmond neighborhoods. It's a favorite park among locals, and I often come here with my sister and her family to let the dogs romp around in the afternoons. 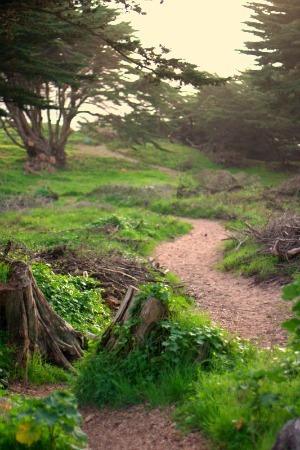 It was here in Sutro Park that Adolph Sutro built his home. His daughter moved in after he passed away, and after her death, the family donated the park to the city. 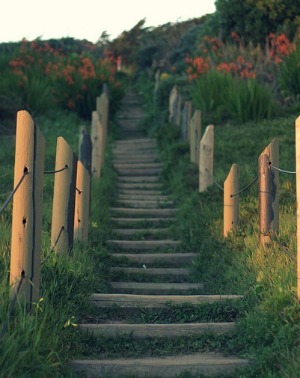 There is a lovely trail and set of stairs that heads down towards Ocean Beach. You can find the trail head towards the south end of the park, in between the lower lookout of Sutro Park and the entrance path near 48th Avenue and Anza Street. A nice thing to do is perch yourself in the sand dunes towards the top of the stairs and watch the sun go down.